Feeling the strain from last night’s drinking games? Pounding too many tequila shots in the divebar downtown? Or perhaps you were over-indulgent with a tipple too much of that celebratory champagne. Whatever the reason for your pounding head and lifeless hangover body, never fear because a cure is on its way. I know what you are thinking, hangovers are just dehydration. While this may be true, and water will be the nectar of rejuvenation for you, there are ways to speed up that hangover recovery. When you drink, you tend to wash all the salts, sugars, and nutrients from your body, meaning that the natural tools you have to aid recovery and flush the toxins from your system, are somewhat depleted. By selecting one of these healthy, happy hangover teas, you will find yourself rehydrating in a far more salacious, delicious and instantaneous manner! This is somewhat of a savoury tea, which may seem a little unusual, but just think of it like green tea or something similar. Thyme works wonders on tired and over-worked muscles. So while you were letting loose on the dancefloor last night, the toxins present in alcohol were running riot through your body. 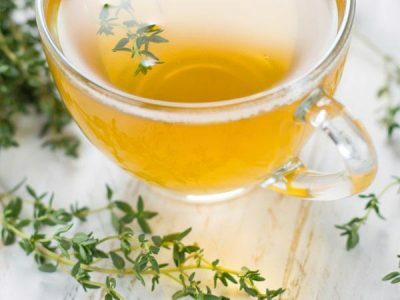 As your exhausted body tries its hardest to expel those toxins, you can give it a little extra help with a delicious cup of thyme tea. Simply boil the kettle, put 10-15 thyme leaves in the (near) boiling water, and cover for 5-6 minutes to brew. It will also help settle the stomach! If you are an aniseed fan, fennel has a very similar taste but with a little fresh twang to it. Alcohol gives your liver a real beating as it exerts itself to dispel the poison we insist on loading into our systems. Fennel provides your body with a great digestive cleanse while giving your liver a whole lot of loving. Its help with encouraging metabolization also helps your body to get the alcohol through your system more quickly. 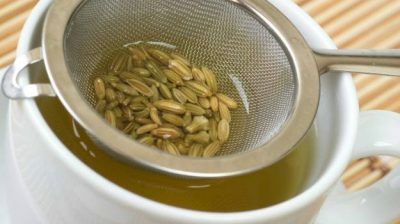 Drop 10-12 seeds in boiling water and cover for a 8-10 minutes. If you have your head over the toilet bowl and you are feeling those rips of nausea sailing through your system, try ginger tea. Ginger has great anti-inflammatory properties which hep to reduce the swelling in the intestinal tract. This gets things flowing more smoothly through the digestive system as the ginger tea smooths the way. So if you are feeling sick, ginger is the tea for you. Roughly chop and inch of ginger into boiling water and leave for 4-5 minutes. 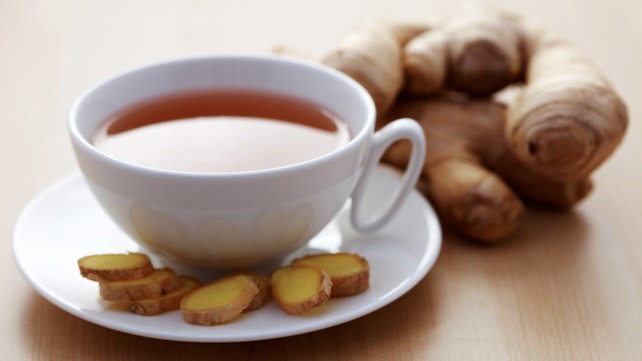 Try inhaling through your nose as you drink as it helps to absorb the volatile oils in ginger. If you’re the root problems of your hangover hell is a headache, try sipping on a fresh cup of chamomile tea. Chamomile tea helps to relax the body due to the active component of bisabolol. This component has anti-irritant and anti-inflammatory properties which help to reduce swelling all over the body and reduce fever. Bisabolol is contained within the oil of chamomile, so when making tea, make sure not to boil the waters as the oils will leave the cup. Keep the water warm but not boiled, and cover the cup for 6-7 minutes to brew. When drinking, try to inhale deeply, as the oils will enter through your nose as a quick route to the brain. When enjoying these delectable delights, try adding a spoonful of raw honey for a little sweetness as honey contain a myriad of minerals, enzymes, and amino acids which will help speed up recovery.